The idea is simple: Every individual matters and has the right to quality education, regardless of their background. However, translating this idea into policy can be challenging. While the last two decades have shown remarkable global progress in access to education, inequity still strongly impacts those on the lower end of the skills spectrum. At the Education World Forum (EWF) 2018 in London, three days with education pioneers and policymakers sparked inspiring discussion on how to enable education equity. The main message for improvement called for new approaches at all levels, from classroom experience and curriculum to teacher training and engagement with policy makers. Equity is a persisting issue regardless of the country. But in the developing world, the challenges are vast. Growing gaps of attendance, retainment and performance especially persist between boys and girls, ethnic groups, and rural and urban areas. Often, the distance for students to leave their families and travel to schools can be barriers of retainment. How can policy help students avoid travelling long distances? Can we make the classroom experience work for remote communities? On display at the EWF, the “pop-up” classroom could be a solution. Powered by renewable energy and drawing upon innovative technology for quick implementation, it can be installed in less than a week for any purpose - whether it’s a school by day or a community centre by night. A self-sustainable classroom which doesn’t require any infrastructure, loads materials via a dongle (no internet access required) is just one example of how innovation can support equity in the developing world. More than half the world’s population is connected by the internet. Today, students have more access to different cultures and ways of thinking than ever before. But have schools kept up with the changes? Equity means preparing students for success in the globalised world they live in. To do this, many educators are teaching global competence, the capacity to understand and act on local and global issues. This includes skills like critical thinking, creativity, collaboration and communication to work across diverse communities. In the developing world, this is especially important for countries who have had an influx of refugees. Often, children haven’t been in education for two or three years and adults are unfamiliar with available jobs when they arrive. Strengthening learning centres with basic vocational training could allow better cooperation and integration between refugees and their new communities. Ultimately, preparing students inside the classroom for a diverse and connected world outside is an investment in a more equitable world. Equipping students with real-world skills and global competence means building a teacher’s capacity to do so. Having teachers who understand what young people know - the latest ideas, how information spreads in the digital world - is key. 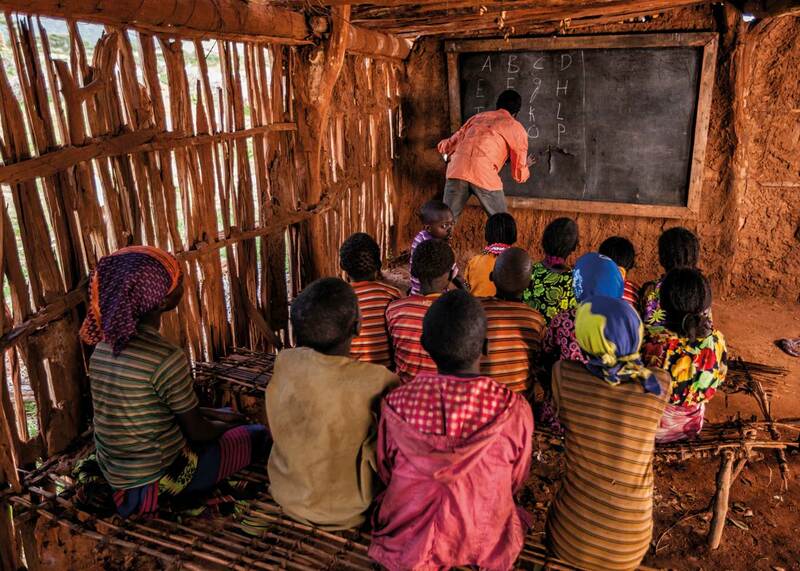 In the developing world, quality educators are few and far between. Many organisations are working to put more teachers in classrooms and encourage countries to invest in education early. But when there are educators available, it’s paramount they have more than the minimal education preparation required. Equity is not only about equal access to education and jobs for male, females, and disadvantaged individuals - it’s about social cohesion. Individuals must know they have a valuable role in the global conversation. As discussed at the EWF, we must continue collecting and evaluating data on barriers to education access, opportunity and resources. Focusing on gender inclusion, the integration of migrants and life-long learning can inform policy to support inclusive thinking and quality education for all.